A brand new, exciting fusion of guitar sounds is about to take South Africa by storm – kicking off in Johannesburg, Pretoria and Cape Town in March. ‘Guitar Wizards’ is a concept, created by Corneille Hutten of the award-winning international, but proudly South African, guitar duo CH2. The idea is to fuse various guitar styles from Flamenco to Finger-style Guitar playing – all played with great precision on acoustic guitars. This series of concerts promises to be an eclectic lab of creativity; saluting the sounds of acoustic guitar virtuosity. First off in the ‘Guitar Wizards’ series is a very special guest all the way from Poland – the wunderkind and international sensation, 18 year old Marcin Patrzalek. He will join CH2 onstage for 90 minutes of “heart-stopping” guitar sounds. CH2 has been top of the musical ladder for the past eighteen years in South Africa. Winner of multiple SAMA and Ghoema Awards, they have produced 11 albums, including the best-selling and Grammy entry “PING” and their most recent offering, ‘Insomnia – The Chapel Master’. With their technique and pulsating rhythms, they showcase what can be done on only two classical guitars and create an instrumental pop sound whilst mimicking drum sounds and bass guitar all at the same time. 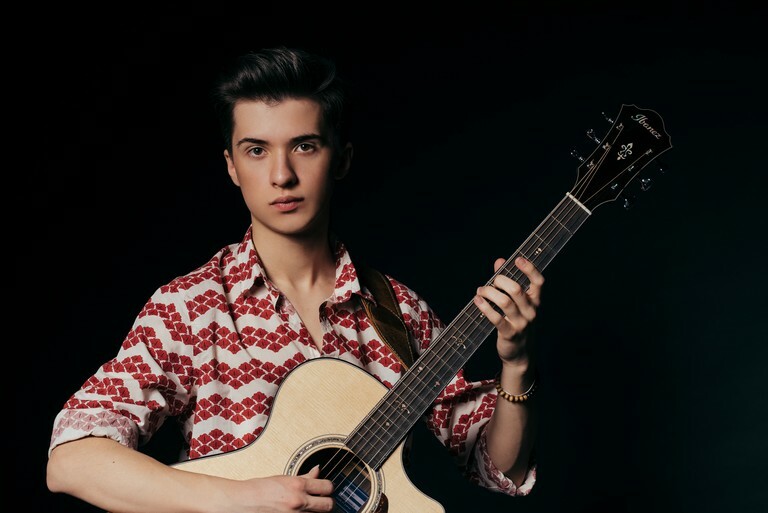 Marcin Patrzalek is an 18 year old Polish fingerstyle guitarist and winner of the biggest Polish TV talent show, ‘Must be The Music’. Patrzalek is well-known for his guitar arrangements and compositions, which gather millions of views online. His music background began with classical guitar, which he started playing at the age of 10. “I’m extremely excited to have an opportunity to be part of the ‘Guitar Wizards’ project. My excitement is even bigger when I’m thinking about the fact this project is set to be in South Africa. I can’t wait. See you soon,” said Patrzalek from his home town of Kilce in Poland. The ‘Guitar Wizards’ programme will be filled with lots of popular takes on the music of Metallica, Michael Jackson and compositions from the pen of CH2. The evening will also contain some signature classic guitar pieces like the theme of the Adagio movement of the Concerto de Aranjuez and Asturias. * The Cape Town tour date is scheduled for Saturday, March 9, at 8pm, at the Paul Cluver Amphitheatre, Elgin. For bookings and tour dates in the other mentioned cities, consult www.webtickets.co.za.